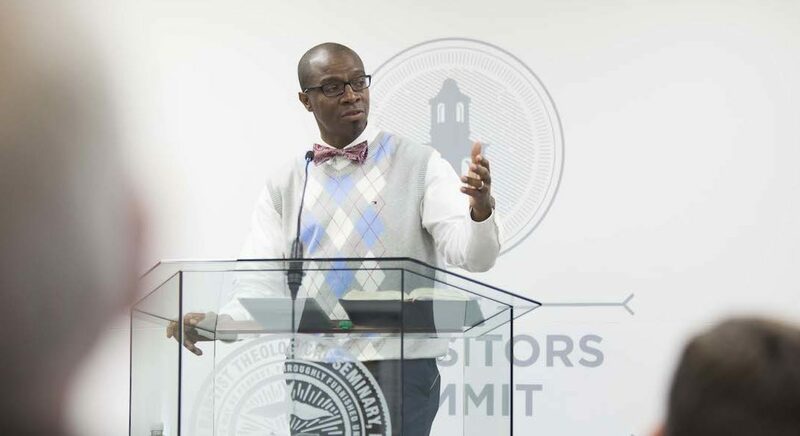 Curtis Woods—an assistant professor of applied theology and biblical spirituality at SBTS, a trustee for LifeWay, and co-interim executive director of the Kentucky Baptist Convention—was recently named the chairman of the Resolutions Committee for the 2019 Southern Baptist Convention Annual Meeting in Birmingham, AL. Woods is only the second African American to chair the committee joining Norris Sydnor, the 1982 chairman, according to Baptist Press. A few listeners have asked about other Resolutions Committee chairpersons, so we compiled a list going back to 1980 for reference.